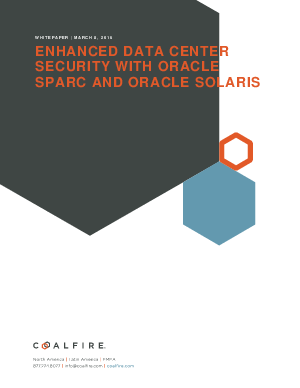 This paper provides guidance to organizations interested in researching Oracle’s SPARC M7 and Oracle Solaris 11 security features and capabilities. It will also provide a high level overview of some of the noteworthy features that these two product offerings bring to the market. We will review industry best practices in information security as it relates to these Oracle products in the context of a secure implementation. This paper is not meant to be an in depth technical paper, position paper, or security implementation guide. It will instead endeavor to deliver a foundational level of knowledge of the SPARC M7 processor and server technology and the function set within Oracle Solaris 11 that are primarily relevant to information security as it is current understood. The information used to compose this paper was collected from a variety of open sources, interviews with Oracle subject matter experts, and reviews of OEM (Original Equipment Manufacturer) documentation and specifications.